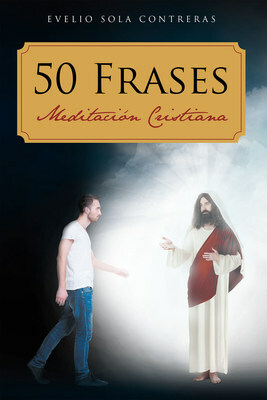 Evelio Sola Contreras, aspiring visual artist and now talented writer, has completed his new book "50 Phrases: Christian Meditation": an inspirational work that provides encouragement through meditations concerning doubts in their faith that many people face. Published by New York City-based Page Publishing, Evelio Sola Contreras’s emotional work examines how an individual can overcome insurmountable obstacles when surrounded with faith and support. Throughout the world there are people who are hurt and broken by the situations that human beings face. It is the author’s hope that these phrases reach their heart and fill it with the word of God. With the purchase of this book readers are supporting the work of the church and the author’s survival. Readers who wish to experience this inspirational work can purchase “50 Phrases: Christian Meditation” at bookstores everywhere, or online at the Apple iTunes store, Amazon, Google Play or Barnes and Noble.